When we think of Halloween costumes, we usually focus on clothing and accessories. 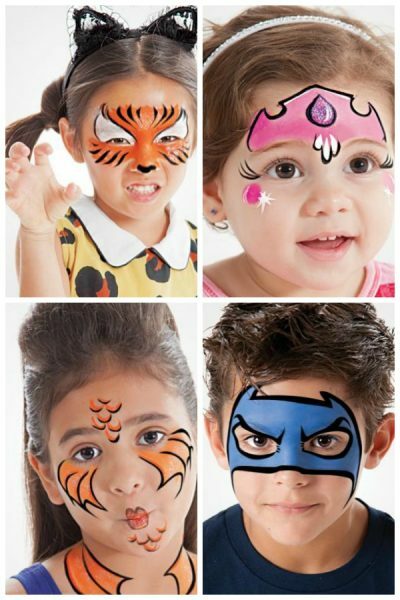 But you can create amazing costumes simply with face paint! Face painting is great for boys and girls of all ages. You’ll be surprised by how easy it can be. Read on for 15 fabulous face paint ideas! 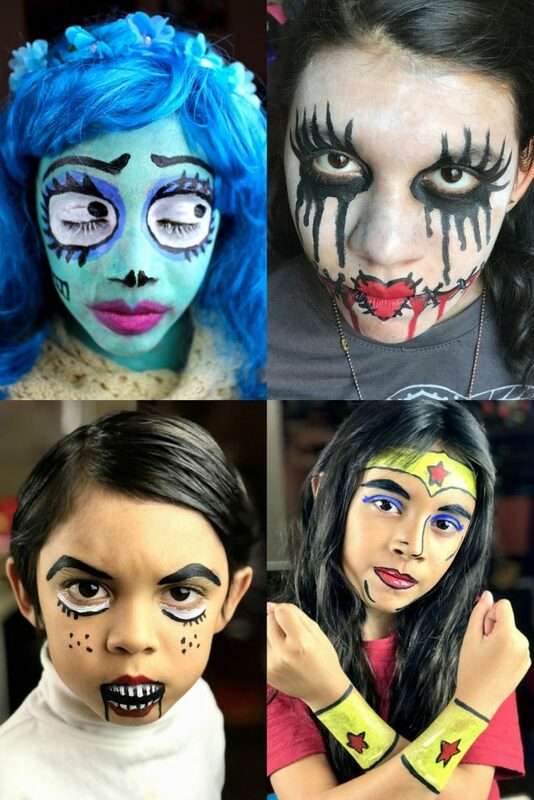 This detailed tutorial by Kid Kraft tells you everything you need to master face painting for Halloween costumes. The easy instructions go through the steps to make a Sugar Skull for Dia de los Muertos, a Corpse Bride, a Voodoo Doll, Wonder Woman, and a creepy ventriloquist’s dummy. They’re gorgeous and totally do-able! Parenting has 10 fabulous ideas for Halloween face painting. Choose from an animal, including a fish, tiger, or dragon), Hulk or Batman, a mermaid, a clown, a fairy, a princess, and even Ziggy Stardust. The hardest part is deciding which one to be!